In the past half a century, Aurora, Illinois, has undergone tremendous transformation and growth, making it a great place for first time homebuyers to consider purchasing their starter home. From the SciTech Interactive Science Museum to the Phillips Park Zoo, Aurora offers a rich array of cultural amenities and entertainment venues for everyone. It’s no wonder why people have been flocking to this bustling city. Located on the outer edge of the Greater Chicago region, Aurora has experienced so much recent expansion that it has become the second most populous city in Illinois. With a population of 197,899 as of the 2010 U.S. Census, the latest estimates place this number at or slightly over 200,000 residents. Along with this surging growth, Aurora has a pretty warm housing market. After rising about 6.9 percent in the past year, the median home value has reached $166,300, according to Zillow. Further, estimates forecast a one-year 3.5 percent increase. 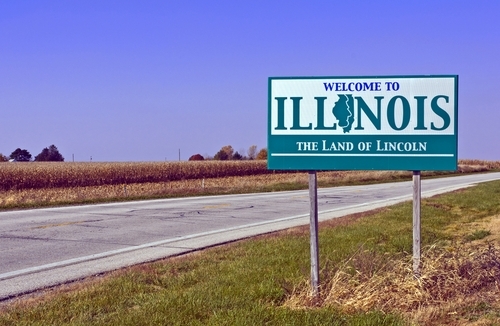 With a solid housing market currently and strong projections ahead, first time homebuyers have plenty of reasons to consider Aurora, Illinois. There’s several factors behind this area’s recent popularity, but one of the main ones is economic growth. As a former manufacturing powerhouse during the middle of the 1900s along with much of the Chicago metropolitan area, Aurora struggled through the industrial recession that hit the Midwest in the early 1980s. However, thanks to sound leadership and plenty of economic investment and revitalization, the city remains a strong hub for businesses of all sorts. In addition, Caterpillar, a machine manufacturer, has a big presence in the area, as do several major medical centers, which all provide thousands of additional jobs. Aurora is also home to a variety of small and local businesses. Nearly three-quarters of organizations in The Aurora Regional Chamber of Commerce are composed of less than 20 employees. These companies have access to programs such as Scale Up Aurora, which offers owners and entrepreneurs free training, technical assistance and access to capital loans, reported DuPage Policy Journal. This robust commercial and industrial landscape ensures a good standard of living for Aurorans, with a 2016 median household income of $63,318 and an average household income of $84,565, according to Invest Aurora. One of the main deciding factors for purchasing a home is the area’s school system. First time homebuyers looking to start a family and raise children place a high value on the quality of the education system their kids will enter. GreatSchools ranked the Aurora system a 6 out of 10, with Metea Valley High School, Wolfs Crossing Elementary and Gwendolyn Brooks Elementary School all rated in the top for schools in the area. As first time homebuyers weigh their options on where they want to settle down and plant their roots, they should keep Aurora, Illinois in mind.